The unfinished business of reconciliation of the Métis people with Canadian sovereignty is a matter of national and constitutional import. The aim of the negotiations will be to address these priorities through an agreement or series of agreements. This agreement may take the form of a modern-day treaty, which would be constitutionally protected by s. 35 of the Constitution Act, 1982. Where treaties remain to be concluded, the honour of the Crown requires negotiations leading to a just settlement of Aboriginal claims. For decades, Canada refused to negotiate for the recognition of Métis rights and settlement of Métis claims. Beginning in 2016, however, Canada adopted a new approach to negotiations with Indigenous people, including the Métis. Canada calls this new approach Recognition of Indigenous Rights and Self-Determination Negotiations. The goal is to bring greater flexibility to negotiations based on the recognition of rights, respect, cooperation, and partnership. 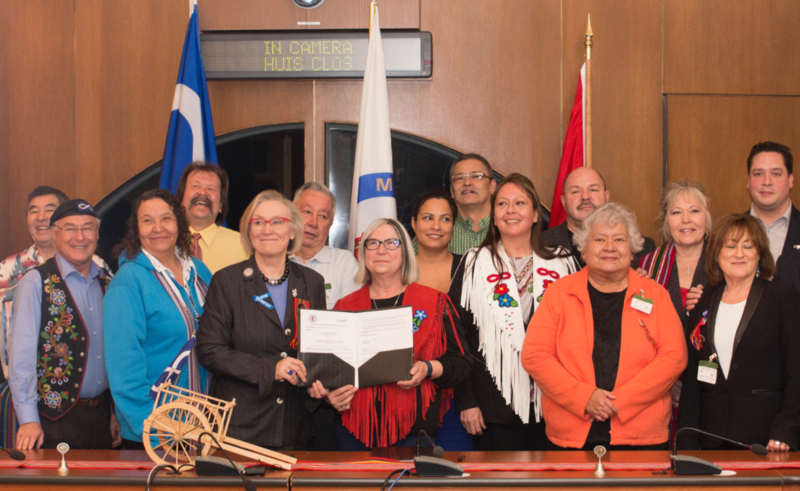 At these tables, Canada and Indigenous groups can explore new ideas and ways to reach agreements that will recognize the rights of Indigenous groups and advance their vision of self-determination. These negotiations follow a 6-step process. On May 10, 2016, MNA President Audrey Poitras wrote to Canada’s Minister of Indigenous and Northern Affairs, Carolyn Bennett. 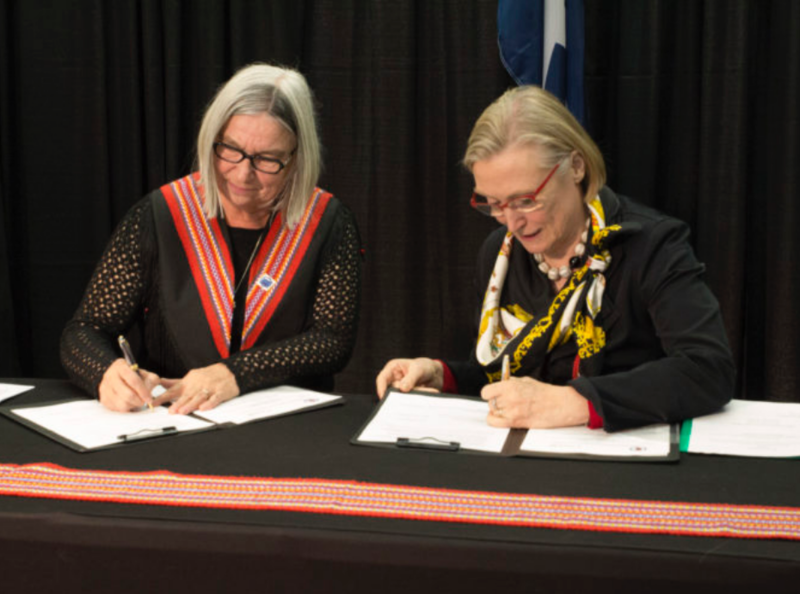 President Poitras requested that Canada and the MNA begin exploratory discussions to address the rights, interests, and claims of the Métis Nation of Alberta. On June 13, 2016, Canada wrote to the MNA accepting this request and agreeing to establish an exploratory discussions process. Exploratory discussions between Canada and the MNA began in September 2016. Throughout the fall of 2016, Canada and the MNA undertook exploratory discussions with the goal of arriving at a Memorandum of Understanding to frame subsequent discussions and negotiations. These exploratory discussions marked a significant change in approach for the federal government. Up until the beginning of these discussions, Canada had refused to engage with Métis Nation south of the 60th parallel regarding their rights, claims, and interests for a variety of reasons, including Canada’s previous denial of the Métis Nation’s rights, rejection of the Métis Nation’s outstanding claims, and refusals to acknowledge federal responsibility for the Métis Nation. In contrast to this previous approach, the exploratory discussions process was premised on a commitment to working on a nation-to-nation, government-to-government basis to advance reconciliation and renew the relationship between Canada and the Métis Nation within Alberta through cooperation, respect for rights, and ending the status quo. On January 30, 2017, the MNA and Canada signed the Memorandum of Understanding on Advancing Reconciliation, marking the official beginning of exploratory discussions. Throughout the spring of 2017, representatives of the MNA and Canada negotiated a framework agreement. A framework agreement defines the subjects that will be negotiated and the process by which negotiations will be conducted. Framework agreements do not determine the outcome of negotiations; rather, they set out the parameters of the negotiations. Developing a mutually-acceptable framework agreement is an important step that ensures parties enter into negotiations with a shared understanding of the work ahead of them. On November 16, 2017, the MNA and Canada signed the Framework Agreement for Advancing Reconciliation. To support these negotiations, we will be undertaking province-wide consultations. We need to hear from all of you on how best to make Canada’s commitment to advancing a nation-to-nation, government-to-government relationship with the Métis Nation a reality here in Alberta. Please get in touch. Together, we will build a strong Métis Nation embracing Métis rights. Once Cabinet grants Canada’s negotiators a mandate to negotiate, a Final Agreement (as well as interim measures or incremental agreements) can be negotiated. This will involve in depth, province-wide consultations with the MNA’s citizens. Before any Final Agreement can be concluded, it will have to be approved and ratified by the MNA’s citizens. Once a Final Agreement is concluded and takes effect, it will have to be implemented. This will mark the beginning of a new era of Métis Nation self-government in Alberta!